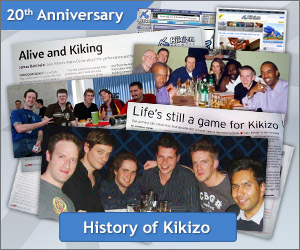 Kikizo: I want to start by asking you the most important question, which is obviously the colour of your tie. Last time, you were wearing an orange tie AND socks, but now we’re seeing a blue tie, and the socks don’t even match. So how can you explain that? Naka: Ah, you’re a proper professional, you remembered! Naka: Back in the day when I was involved with Sonic, I actually made a conscious effort to wear blue quite a lot. Now I’ve got my own company, Prope, and its main colour is orange, so I have a lot of orange ties and dress in orange from time to time to reflect that. The other day when Iizuka-san and I were working together in a film shoot, Iizuka-san said hold on a minute, you’re wearing orange! That’s not Sonic, that’s Prope! So I was essentially threatened by Iizuka-san to wear a blue neck tie this time, so I’ve got the blue tie but I don’t actually have any blue socks! Actually, in 1991/1992 we created a Sonic neck tie. I though I am going to make a real effort and wear that Sonic tie, that will be really appropriate. But I looked everywhere! And really put effort into finding it, but I couldn’t find it anywhere! 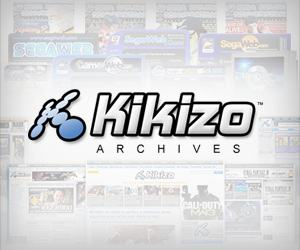 Kikizo: Our game site is about to become an entertainment/lifestyle site so I want to get an idea about your lifestyle from back in the day. I’ve heard that as a result of your kind of celebrity status in the nineties in Japan, it sort of elevated you to this rock star status and you were pretty successful with women for example. Can you tell us about your lifestyle as a result of Sonic? Naka: Hmm… actually I haven’t been that successful with women! But three years ago I got married – so when I got married I was 42 years old which is quite late really. But I was so busy with work and with Sonic that it was really hard for me to have that sort of opportunity. But having worked on Sonic has allowed me to get involved in many of my hobbies, including racing cars and music. It has really enabled me to do what I want to do. But essentially though on an every day basis, my life is about going to the company and coming back home, going to the company and coming back home, so I lead a very sort of normal developer life. Kikizo: Yeah. Right. I think you are being very humble – I don’t believe for a minute that you weren’t successful with women. I’ve got good sources, you know. Kikizo: Wait, can we quote that exactly?! Good lord. So there you have it: If Sonic didn’t help Naka get laid, it sounds like Naka certainly helped Sonic. Kikizo: So I would like to ask Iizuka, do you ever get frustrated at some of the complaining directed at Sonic Team? This latest title is kind of nothing but fan service, and exactly what people have been asking for, so do you think all of the complaining is justified? 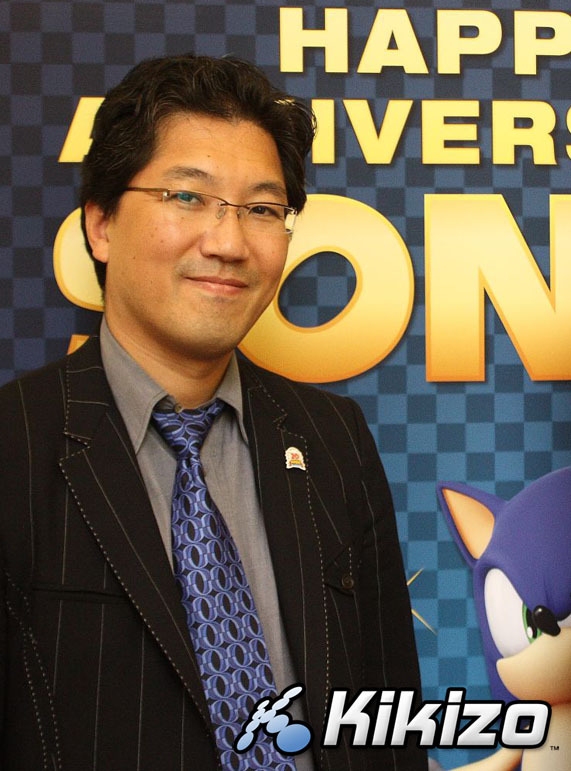 Iizuka: After each release, we really make a lot of effort into listening to what the fans are saying. When a Sonic game is created each director on the title has a major ability on influencing the game. Sometimes the characteristic and the personality of Sonic hasn’t always been directed as it should be, hasn’t always been quite right, so now as the producer working on the overall Sonic franchise, I will ensure that the team are shown the way, and the direction that Sonic games should be going. For example, Sonic Colours has been really well received, and I hope to ensure that this will continue to be so – and we will always value what the users are saying. 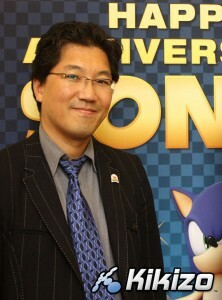 Read More About... Blog, Sonic Team, Yuji Naka.